Wells Fargo Cash Wise Review 2019: Is It Good? Wells Fargo Cash Wise cash back card gives you rewards on all purchases. But there are some restrictions. Is it worth the hype? Keep reading to find out. 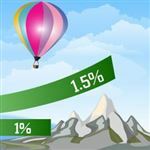 Wells Fargo Cash Wise Visa offers a good sign-up bonus and unlimited 1.5% cash back on all purchases. There are also opportunities to earn even more rewards. If that's not enough, there's also an intro APR and cell phone protection. However, there are some catches with this card. Is it right for you? Read on. Want a simple cash back card. The Cash Wise Visa doesn't have category restrictions or spending limits. So it's a great general credit card if you don't want to have to keep track of things. There are other credit cards that offer higher rewards for specific categories. The Cash Wise Visa can be a good supplement to other cards. You can use it for purchases that your other rewards cards aren't currently offering rewards for or if you've reached the specified limit. Have very varied spending. This card is good if you tend to spread your spending between gas, groceries, movies, shopping, dining out, etc. Are planning to make large purchases. There is a 0% intro APR for 12 months on purchases and balance transfers. After that, a 16.24% - 28.24% (Variable) APR. The intro APR is good if you need time to pay off large purchases or pay off credit card debt. What credit score do I need for Wells Fargo Cash Wise Visa? Generally, Wells Fargo Cash Wise Visa requires good credit. This usually means a credit score of 680 and above. You can apply for the Wells Fargo Cash Wise Visa online. Answer some basic questions typical of any credit card application. After reviewing your application and credit, you can know within a minute or two if you've been approved for the card. Once approved, Wells Fargo sends you an email with the details of your account, including your credit limit. Check application status: In some cases, Wells Fargo cannot approve the application instantly. In this case, you can check your status online with your SSN and an access code you received in your email. You can also call the status hotline at 1-800-967-9521 anytime of the day. If application was denied: If denied, you can try calling Wells Fargo's reconsideration line at 1-866-412-5956. You can better make your case when you're able to speak to an agent. Once you receive your card, you can start charging and earning rewards. Earning is simple, as every purchase earns the same reward - 1.5%. You don't have to track rotating categories or watch your limits. Cash from ATM. Withdraw the cash from a Wells Fargo ATM if you have a Wells Fargo deposit account ($20 increments or 2,000 points minimum). Check. Get a physical check via mail ($25 increments or 2,500 points minimum). Direct deposit. Direct deposit into your Wells Fargo checking or savings account ($25 increments or 2,500 points minimum). Credit. Apply as credit to a Wells Fargo credit card, personal loan or mortgage. Gifts. Redeem for gift cards or merchandise. Travel. Book travel on Wells Fargo's Go Far Rewards. Using Rewards to Pay Down a Wells Fargo Loan: Keep in mind that even if you use your rewards to pay your credit card or loan, it doesn't count as a payment. You still have to make your regular or minimum monthly payment. The credit pays down your principal balance, but doesn't change the amount you owe that month. Sign-up bonus. Earn a $200 bonus if you spend $1,000 in the first 3 months of account opening. No annual fee. Wells Fargo Cash Wise Visa doesn't charge a fee. Along with the decent cash back rewards, this can make for a great credit card for your wallet. Earn even more rewards: Wells Fargo has a Earn More Mall where you can earn bonus cash back with partner retailers. If you use the Earn More Mall, you may have to activate a specific offer to get the bonus rewards (not the 1.5% general reward). Bonus for paying with mobile wallet. For the first 12 months, if you pay for purchases with a qualified mobile wallet (such as Apple Pay or Google Pay), you get an additional 20% cash back bonus. This makes for a total of 1.8% cash rewards. Introductory APR. There is an introductory 0% APR on purchases and balance transfers for the first 12 months. After that, the variable APR is 16.24% - 28.24% (Variable), based on your creditworthiness. Cell phone protection. If you pay your cell phone bill with the Cash Wise Visa, you get up to $600 coverage against damage or theft ($25 deductible). This doesn't cover lost phones or phones damaged while cared by someone else (such as while being shipped). This may save you a little money on your cell phone bill, as you can stop paying for cell phone insurance through your carrier. More rewards with Go Far Rewards. A Go Far Rewards account will be automatically opened once you open this card. This is where you can track your rewards balance. It also has an Earn More Mall, which offers bonus rewards for shopping at partner retailers, either online or in-person. You can earn as much as 10%, depending on the specific offer. Many redemption options. Besides redeeming for credit or direct deposit into a Wells Fargo banking account, there are other options. 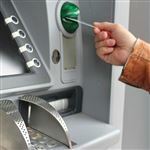 If you have a Wells Fargo checking account, you can redeem your Cash Visa rewards at Wells Fargo ATMs in $20 increments. So you can see your rewards in the form of actual cold, hard cash. This is a unique way to get rewards not offered by other cards. On Go Far Rewards, you can also redeem rewards for other things like travel purchases, gift cards, and merchandise. You can also use your points to donate to a charity that is important to you. This is a great way to give back even if you don't have the extra cash in your pocket. You can share your Cash Wise Rewards. Wells Fargo offers the option to gift your points to another Wells Fargo customer. You can also pool your points together to reach a like-minded goal, such as going on a trip or purchasing a special gift for someone. Overdraft protection feature. If you have a Wells Fargo checking account, you can link your Cash Wise Visa to the account to protect you from overdrafts. If you go over your checking account balance, your Visa is automatically charged the difference. There is a fee, but it's less than the overdraft fee. You can only redeem rewards in specific increments. You must withdraw cash in $20 increments from the ATM. And if you're redeeming for credit or direct deposit, you can only redeem in $25 increments. This means you'll need a minimum of 2,000 points if you are a Wells Fargo banking customer and 2,500 points if you aren't before you can receive your rewards. You have to wait until after the initial offer period to get your sign-up bonus. This is a frustration many customers had. Even if you hit the minimum spend requirement within the first month, you need to wait until after the 3-month offer period to get your $200. Your bonus will be posted 1-2 billing period after the 3 months. There is a foreign transaction fee. Any purchases made outside of the U.S. will incur an extra 3% foreign transaction fee. So it's not the best card for traveling abroad. You'll also want to bring along a card with no foreign transaction fee. The APR can be high. The APR on the Cash Wise Visa is 16.24% - 28.24% (Variable). This could be a tradeoff for the higher reward rate. If you carry a balance, you may want to consider a low interest credit card instead. How to increase credit limit with Wells Fargo? Wells Fargo may give you automatic credit limit increases if you've been a good credit card user. If you haven't gotten an increase, you can request one by calling Wells Fargo at 1-800-642-4720. Note that this will trigger a hard pull on your credit. It's best to ask for an increase after you've been using your card for at least 6 months. Cellphone Protection. 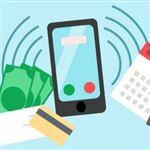 If you pay your monthly phone bill with the card, you're protected against damage, loss, or theft of your cellphone up to $600 per claim ($25 deductible). You're allowed to make 2 claims in a 12-month period. Secondary Car Rental Insurance. You get collision and theft coverage when you pay for the entire rental with the card and decline the rental company's collision damage waiver. Secondary coverage means Wells Fargo will pay any extra fees not covered by other plans or programs (like your primary car insurance). Travel Accident Insurance. You and your immediate family are insured up to $150,000 against accidental death or dismemberment, on a covered trip in a common carrier. Emergency Assistance. Wells Fargo can provide medical and legal referrals if needed on a trip. Both before and during a trip, you can request personal help, such as with passport and visa requirements, Embassy referrals, etc. Roadside Dispatch. If you run into car trouble, Wells Fargo can send help your way. You'll have to still pay for the services, but at a pre-negotiated rate. Note that the Cash Wise Visa does not provide extended warranty, purchase protection, or return protection. Wells Fargo Cash Wise log-in: Already a Wells Fargo customer? You can log in to your account right on Well Fargo's main page. Online banking and credit card accounts are all available through this log in. Wells Fargo Platinum Visa has a longer intro APR. But the card does not offer rewards. Wells Fargo Cash Wise: Pricing information including interest rates, benefits and fees was obtained on January 23, 2019 from published websites and is believed to be accurate, but not guaranteed. Wells Fargo Platinum: Pricing information including interest rates, benefits and fees was obtained on February 14, 2019 from published websites and is believed to be accurate, but not guaranteed. Disclaimer: The information for the Wells Fargo Cash Wise Visa® Card and Wells Fargo Platinum Visa card has been collected independently by CreditDonkey. The card details on this page have not been reviewed or provided by the card issuer. Both cards offer unlimited 1.5% cash back on all purchases. The Chase Freedom Unlimited has a longer intro APR length. It also makes it easier to apply your rewards as statement credit. Introductory Bonus Cash Back: Earn a $200 cash rewards bonus after spending $1,000 in the first 3 months Introductory Bonus Cash Back: Double Cash Back: Earn 3% cash back on all purchases in your first year up to $20,000 spent. After that earn unlimited 1.5% cash back on all purchases. Enjoy 1.8% cash rewards on qualified mobile wallet purchases, like Apple Pay® or Google Pay™, during the first 12 months from account opening Cash Back Rewards: Double Cash Back: Earn 3% cash back on all purchases in your first year up to $20,000 spent. After that earn unlimited 1.5% cash back on all purchases. Disclaimer: The information for the Wells Fargo Cash Wise Visa® Card has been collected independently by CreditDonkey. The card details on this page have not been reviewed or provided by the card issuer. Citi Double Cash rewards you for paying your balance. You get 1% cash back on purchases, and another 1% cash back when you pay them off. Disclaimer: The information for the Wells Fargo Cash Wise Visa® Card and Citi® Double Cash Card has been collected independently by CreditDonkey. The card details on this page have not been reviewed or provided by the card issuer. Wells Fargo Cash Wise Visa is a good credit card for "back up purchases" or those that don't qualify for any other rewards. Plus, it's great that Wells Fargo gives you opportunities to earn higher cash back, such as with mobile wallet purchases for the first year and Go Far Rewards. Editorial Note: This content is not provided by Wells Fargo. Any opinions, analyses, reviews or recommendations expressed in this article are those of the author's alone, and have not been reviewed, approved or otherwise endorsed by Wells Fargo. Disclaimer: This content was first published on October 10, 2018. Information including APR, terms and benefits may vary, be out of date, or not applicable to you. Information is provided without warranty. Please check Wells Fargo website for updated information. Disclaimer: The information for the Wells Fargo Cash Wise Visa® Card, Wells Fargo Platinum Visa card, and Citi® Double Cash Card has been collected independently by CreditDonkey. The card details on this page have not been reviewed or provided by the card issuer. Disclaimer: The information for the Wells Fargo Platinum Visa card and Capital One® Quicksilver® Cash Rewards Credit Card has been collected independently by CreditDonkey. The card details on this page have not been reviewed or provided by the card issuer. Leave a comment about Wells Fargo Cash Wise Review? Wells Fargo is offering promotions for new credit card applicants. Which deal is right for you? Read this in-depth guide. Here are the current Wells Fargo balance transfer offers worth considering. Whether you're transferring a balance to or from a Wells Fargo card, know these vital tips.